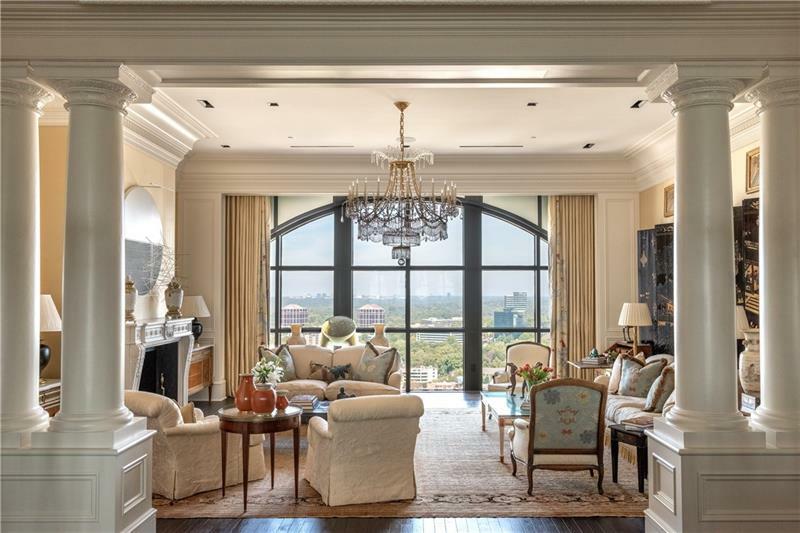 ATLANTA'S MOST ELEGANT PENTHOUSE located on the top floor of the sought after Residences at the St Regis Atlanta. Truly unsurpassed in quality and workmanship, this home has 13.6 ft ceilings and high arched windows, masterful space design, elegant dÃ©cor, French Oak flooring, cabinets by Christopher Peacock, 4 elevator openings directly into the home, separate apt w/full kitchen, his/her offices, large gym, 2 guest suites(3rd suite currently used as office), huge master w/sitting rm, his/her baths and lge closets, 4 car garage, Crestron system ,lots of storage. Amazing! A representative from Metro Brokers has received your request to visit 88 W Paces Ferry Road on at .